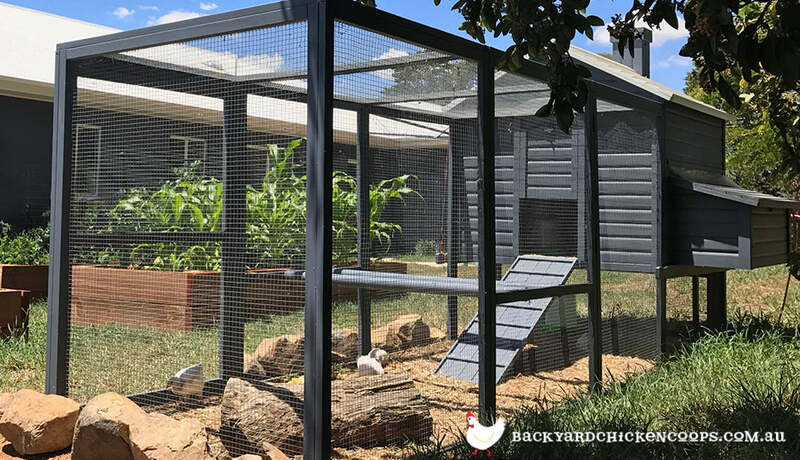 Don’t think your chicken run just has to contain sufficient bedding, it can also be a great place to deck out with your DIY landscaping skills! Whilst logistically it may not be the easiest structure to landscape, the run definitely has great potential. Your chickens will love it! 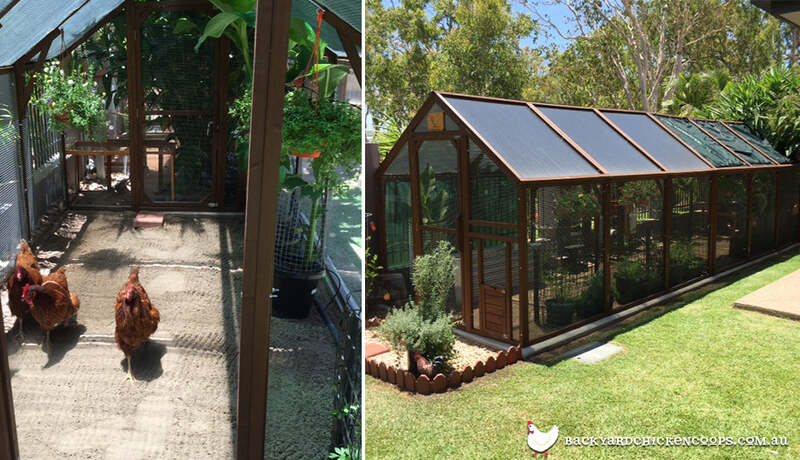 Hermie's use of protected plants, insulated roofing and shade cloth in her two Mansion Runs provides a cool and happy hen home for her chooks! What is chicken run landscaping? Chicken run landscaping is essentially the term given to decking out your chickens pad. 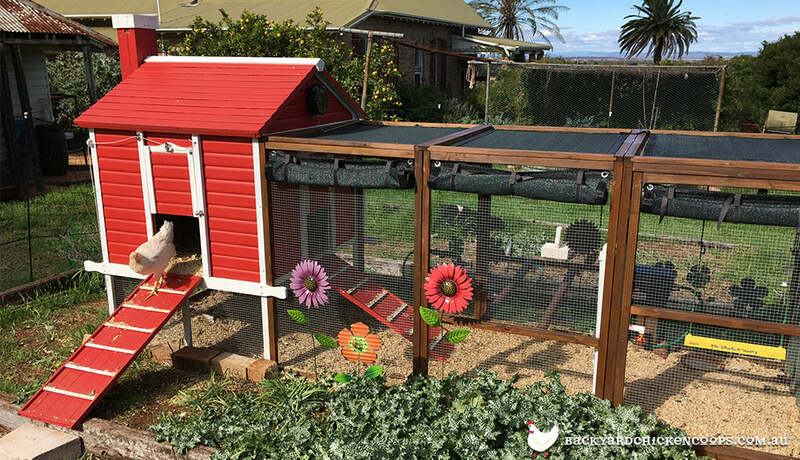 Many just have the bedding and feeders in the space where there chickens roam, but there are heaps of nifty ideas that not only will make the run more aesthetically pleasing, but also have many practical benefits. Aaron's Wyandotte hens enjoying some treat baskets in their Mansion Coop and surrounding run. What are things you can use to landscape your chicken run? 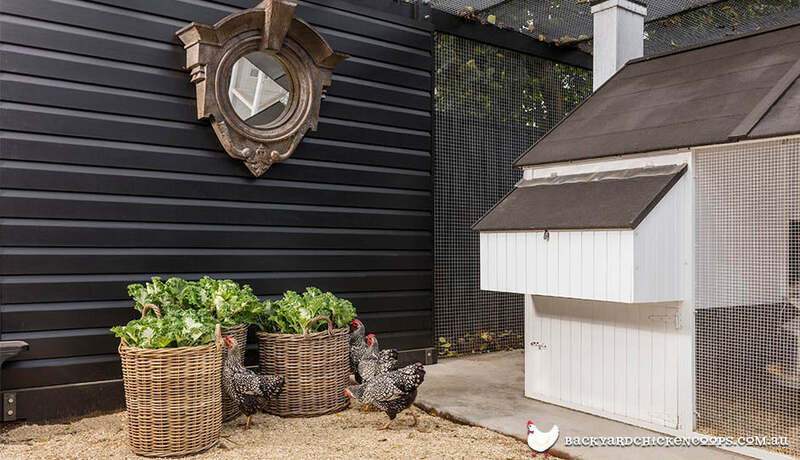 Aaron's use of edible flowers and accessories, like traditional steel buckets and bedding bins, gives his stylish Mansion Coop and surrounding run a polished look. 3. Personalise your chicken run with your favourite colours and sculptural elements. 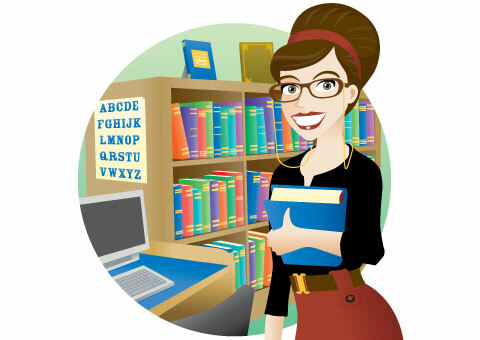 We love seeing our customer coops and no two are ever the same. Wooden buckets and barrels also look lovely and can be great as decorative pot plants in the chicken run. Some chickens have been known to nest in these so check for eggs every so often. Stone arrangements are often a lovely visual addition to the chicken run. Wire mesh can make a nice textural addition to the coop, and can also help protect some plants you don’t want the chickens to damage. 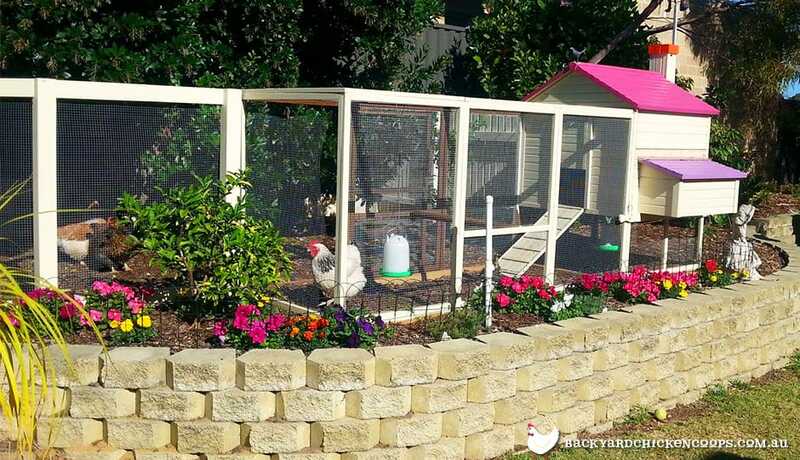 Why not add out of the box features to your chook run like lighting, mirrors or treat baskets? 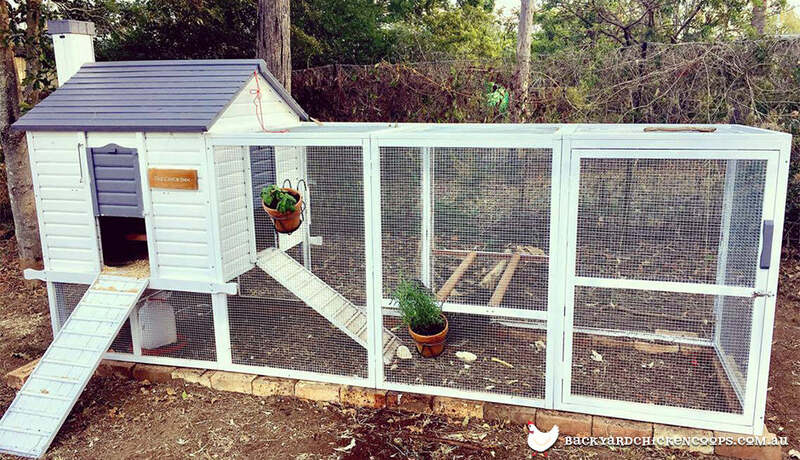 This is a great example of interpreting your own personal style into a functional and fabulous chicken run space. Rebecca's use of natural stone and logs beautifully compliments her dark and modern Penthouse Coop! Belinda's bright and cheerful Penthouse Coop is a perfect example of cottage cuteness! Jan's bold and bright Penthouse Coop run landscaping includes quirky sculptural elements! 4. Potted herbs not only look good on your chook run - they also help deter pests and keep your flock's respiratory health in top shape. 5. Give your chook house a name sign, it looks lovely displayed on the coop! A coop name sign, cute colour scheme and some hanging herb pots make Nicole's Penthouse Coop and run a lovely hen home! Jodie has attached hooks for hanging baskets, shade cloth and the essential Chicken Swing to her Penthouse Coop run! There are actually tangible advantages to landscaping your chicken run, apart from having something pretty to look at! Planting flowers around the outside of your chicken run is great for obscuring your chickens from view from wandering predators! Also, your hens will actually feel more secure. Plants and shrubs that you have in the chicken run can attract insects and bugs - which are very nutritious for your flock! A well nourished chicken means tastier eggs. They are also great for providing shade for your feathered friends when the weather is a bit on the toasty side! Make sure the plants you choose aren’t harmful, as some can be poisonous to have in the chicken run. So don’t think that your chicken run is simply limited to a bit of straw and feed - get creative and make a great environment that not only will your chickens enjoy, but will make an incredibly attractive garden piece. Just do a bit of thorough research into what plants they find particularly delicious otherwise you may find your garden looking a little bare! 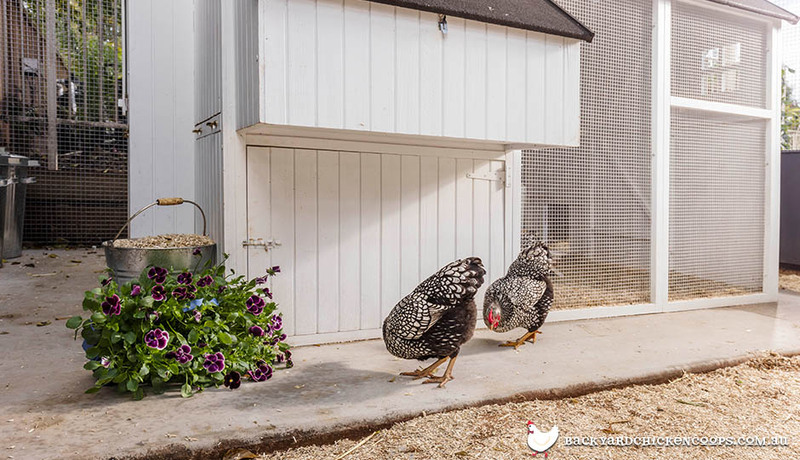 Our Penthouse coop comes with a great large run attached that you can landscape to your own tastes, and our Mansion Run helps you create an amazing environment for your flock, and a gorgeous view for your neighbours! Why Do I Need a Chicken Run? 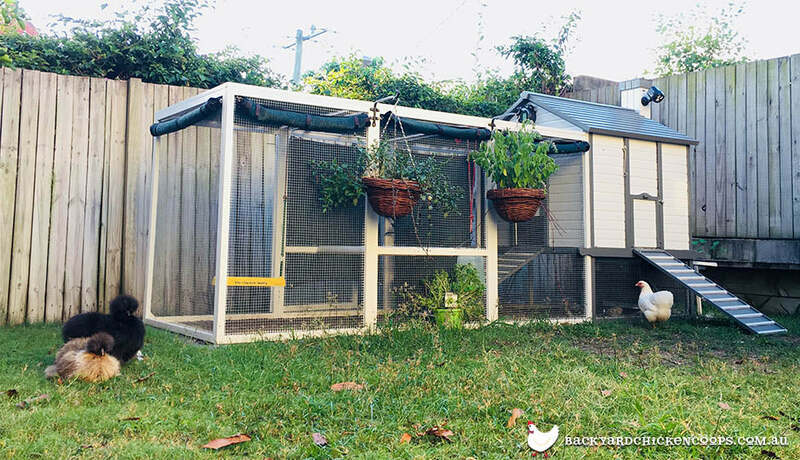 A chicken run is essential for backyard chicken keepers. Keep your chicken flock happy and healthy in their chicken run with these 5 cool things.